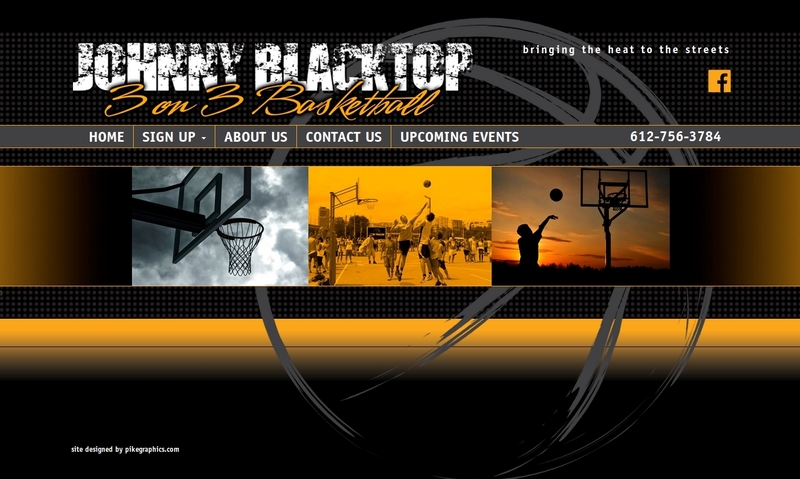 Johnny Blacktop is a 3-on-3 Basketball Tournament organizer located in the South Central Minnesota Area. Namely in and around Mankato, MN. They are available to oversee the organization of tournaments as an addition to other events, or as a main event. They can and do have several different levels of competition based on the skill level of teams. They will work with city Chamber of Commerces as well as Park & Recreation staff, or just about any event organizer to have a contest that you will be proud of. The Johnny Blacktop site was designed by Timothy Halldin at Pike Graphics. Using the PSD files generated by Pike Graphics, we created the HTML/CSS for the site. The site utilizes Bootstrap to make it responsive in nature. The HTML/CSS was then used to develop a custom WordPress theme.